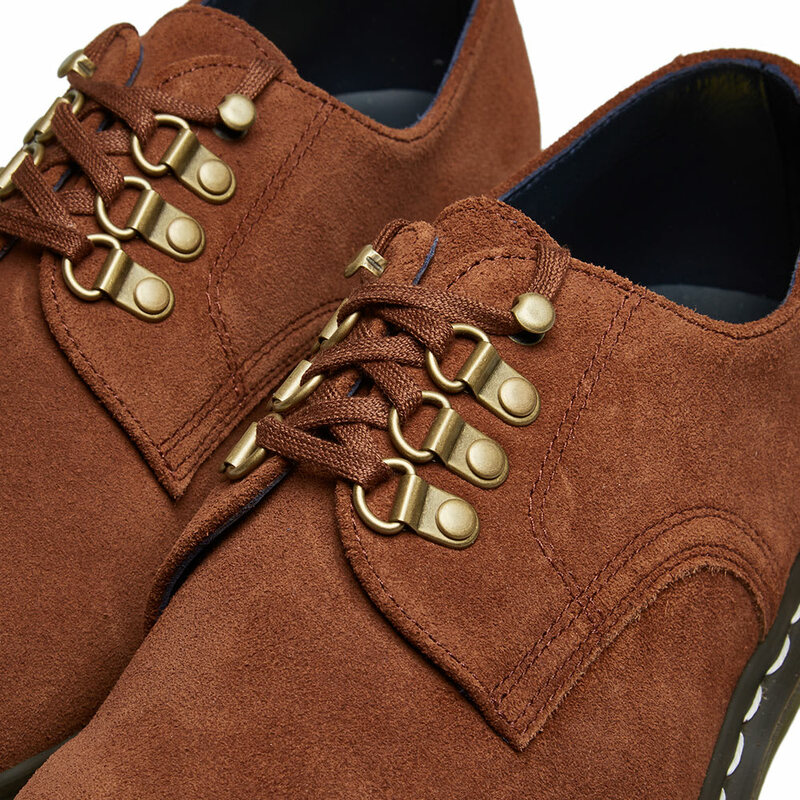 There was no fanfare when this Dr. Martens x Nanamica colab dropped a couple of days ago. Just the whisper of a page refresh and there they were, for sale over at Garbstore and End. Entirely at odds with the recent Nepenthes x DM drops, which bruise my social feeds for weeks on end, these have seemingly come out of nowhere. Admittedly, they’re subtle. But arguably no more so than the asymmetrical ghillie by Engineered Garments. Either way, I think they deserve a nod. The key detail here is the d-ring lacing system. I’m pretty sure Salt-N-Pepper used to wear shoes like this. Or perhaps the Cookie Crew? Either way, flip open a mid-80’s edition of The Face and you’ll see that d-ringed shoes were pretty standard. Course, they haven’t had much play for some years, but I guess that’s why they look (mildly) interesting again. 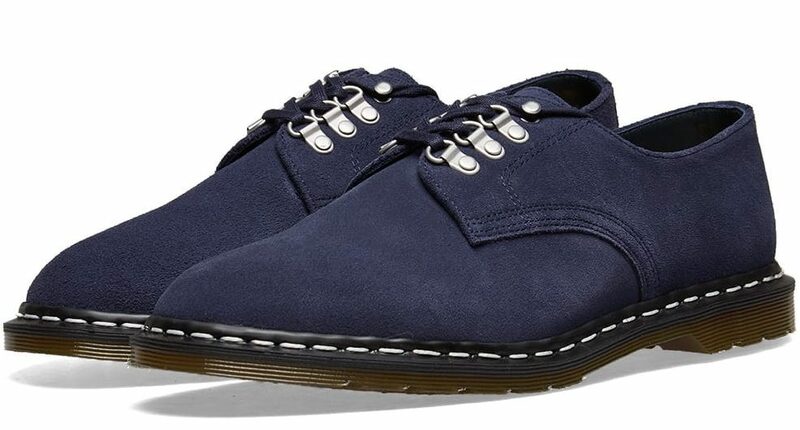 It’s called the Plymouth Officer shoe – one can presume some historical naval inspiration – and you can grab these in black (which I don’t like) or blue or brown (both of which I quite like.) 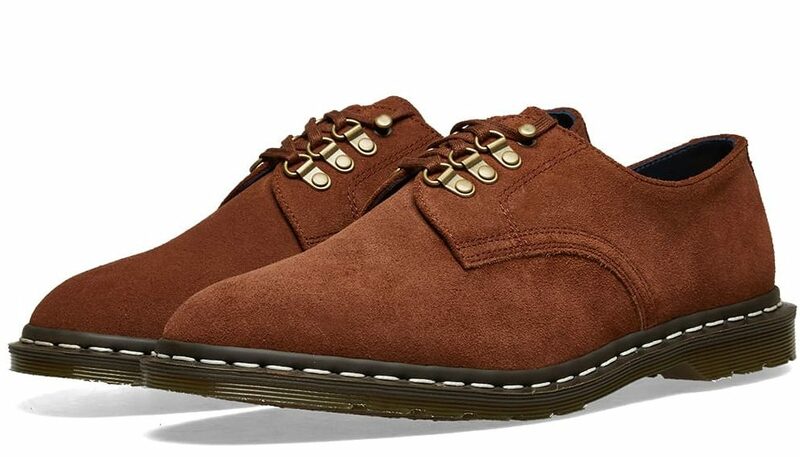 That they feature white stitching on the sole is a thumbs up – I’m frequently surprised how many brand collaborations with Dr. Martens choose to retain the standard yellow. That’s about it really. 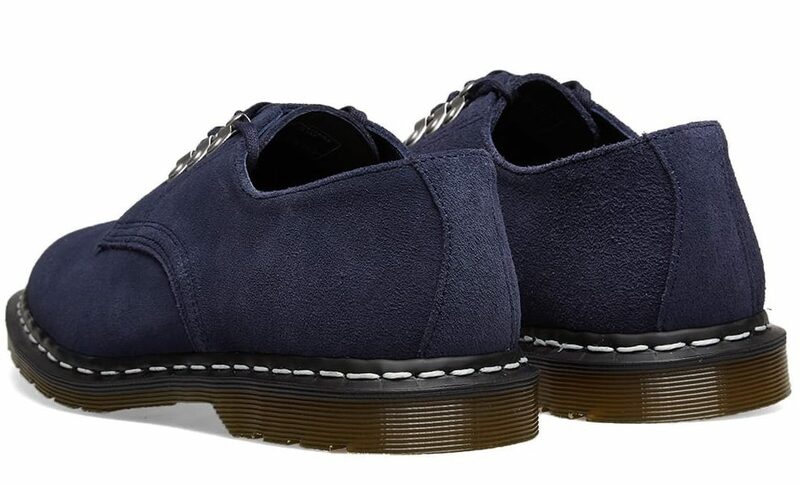 DMs are sort of fashionable, in that they are once more being worn with pride by an assortment of east London art students, layabouts and libertines. But then again, I’ve seen a fair few of them wearing Crocs, so what do they know.